Dec 22, 2016 in "Holidays at the Magic Kingdom"
With the conclusion of Mickey's Very Merry Christmas Party on December 22, the park will offer much of its holiday entertainment during regular hours. Mickey's Once Upon a Christmastime Parade, Mickey's Most Merriest Celebration, A Totally Tomorrowland Christmas, Voiceplay and Holiday Wishes will all begin on December 23 through to December 31. 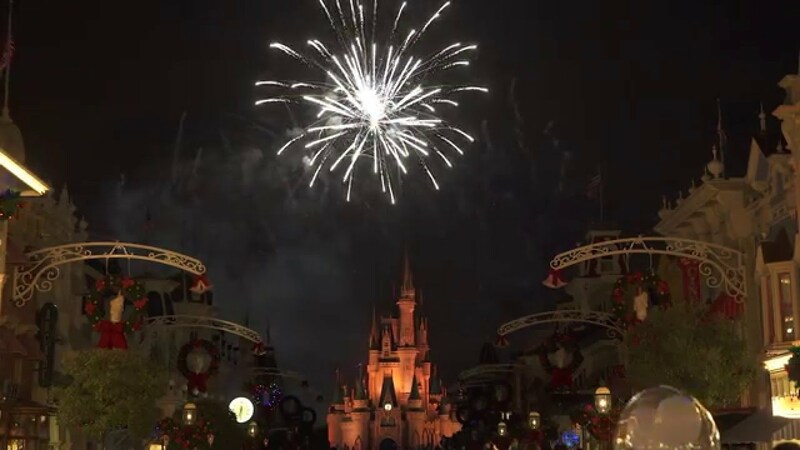 On December 30 and 31, Fantasy in the Sky New Year's Eve fireworks will be shown along with Holiday Wishes New Year's Celebration. You can see the schedule for parades and fireworks on our calendar. Voiceplay: 3:10pm, 4:10pm, 5:15pm and 6pm (December 23 to 28). 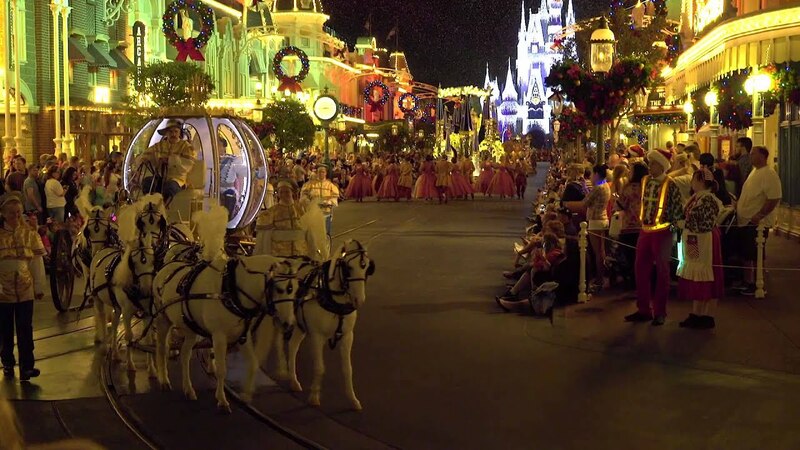 Mickey's Once Upon a Christmastime Parade: 12pm and 3:30pm. A Totally Tomorrowland Christmas: Shows between 3:40pm to 9:30pm. Holiday Wishes: 9pm (December 23 to 29). 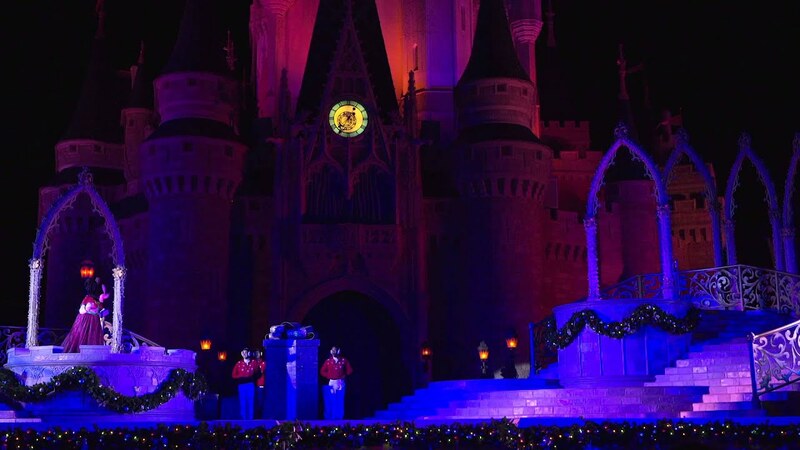 Mickey's Most Merriest Celebration: 7:15pm, 8:15pm, 10:15pm and 11:15pm (December 23 to 29). 6:50pm, 9pm and 10pm (December 30 and 31).